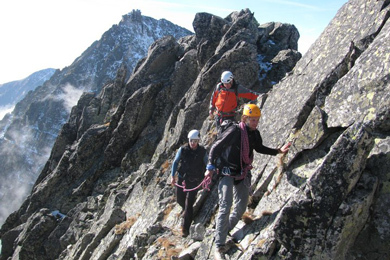 Kezmarsky Peak is famous for its dominant south face which towers 550m above the valley and is greatly seeked by climbers. From the top, there are excellent views onto the east part of High Tatras, Belianske Tatry and small lovely villages spread out below them. Kezmarsky Peak is separated from the more crowded Lomnicky Peak only by Vidlova veza (tower). Please note that gongola fee in not included. The ascent begins at Skalnate pleso (lake) which is reachable by a 15min gondola ride from Tatranska Lomnica, or via main Tatras trail from Hrebienok. 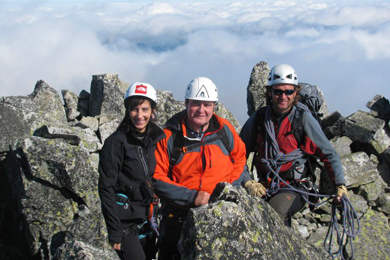 From Skalnate pleso, our mountain guide will lead you up and over Huncovsky Peak, then continue up an east face to the very summit. The first ascent party consisted of Alfred Martin and Gunter Dyhrenfurth who actually reached the summit in the winter, on March 8th, 1906. 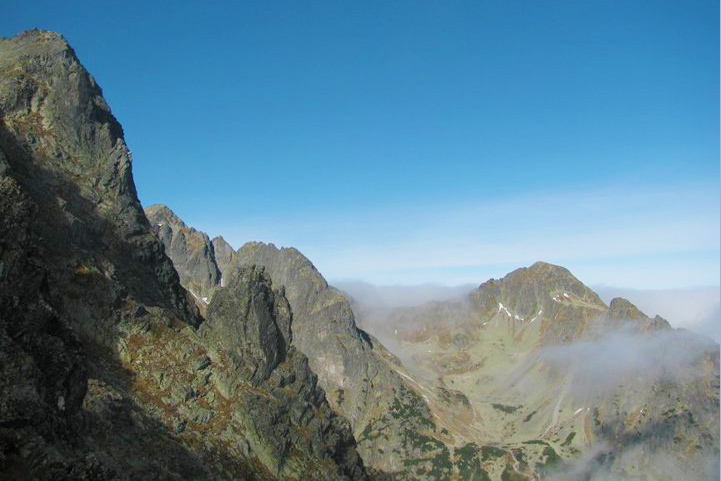 However, the oldest known description (by David Frolich) of this Tatras peak dates back to 1639. Frolich was accompanied on this adventure by his students in Jun of 1615.